Transdermal diffusion testing is commonly performed on sunscreen formulations due to concerns about skin absorption of compounds such as avobenzone and octocrylene. These studies are typically conducted using human skin or animal models. 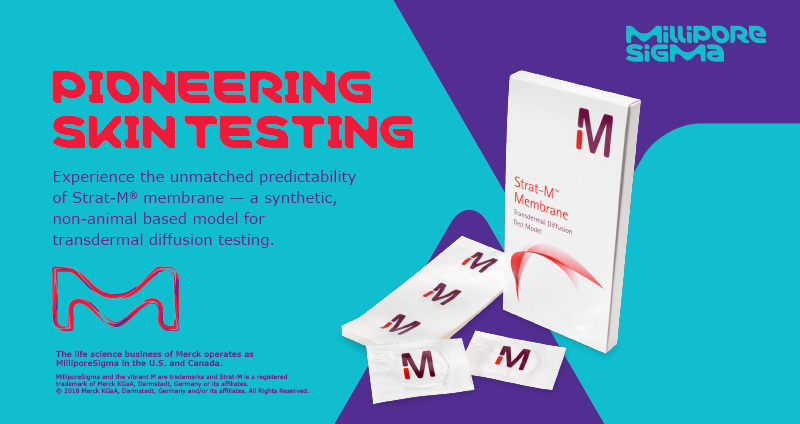 Strat-M® membrane was created to address challenges with intra- and inter-lot variability with the current models. Our quarterly newsletter will keep you up-to-date on industry relevant information and provide helpful technical content for easier and efficient testing of cosmetics.